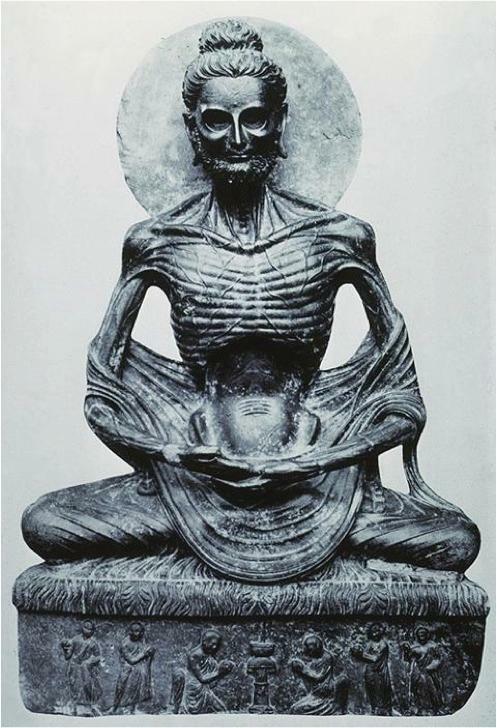 In the late sixties, while on an extended retreat in the foothills of the Sierras, I experimented with fasting. I was inspired, in part, by the fact that I didn’t have much money to buy food. I reasoned that since fasting was reputed to have some spiritual benefits, I might as well take advantage of the opportunity to see what it was like to go without eating for a period of time. My first attempt ended after just half a day, when I wolfed down the remains of a bag of granola, which tasted fantastic, even without milk. Undeterred, after several more attempts, I finally managed to go an entire day and night without consuming anything but spring water from the nearby well. I soon learned that it was easier to fast if I stayed busy and didn’t linger when one task was accomplished but immediately moved on to something else that was mentally and physically engaging. I also found that fasting is like any other activity — it becomes easier with practice, almost like exercising some muscles that hadn’t been used much. Recent research indicates that periodic fasts are actually conducive to health and longevity. Humankind apparently evolved in an environment where food was not always readily available and fasting was normal. Our bodies, ever adaptable, learned to make the most of it. Over the course of several months, I slowly lengthened the duration of my fasts. I discovered that after three days my entire organism shifted gears. Suddenly I no longer craved food. I felt as if I could go on fasting as long as I liked. Up to that point, the only benefits I’d noticed was an increase in self-discipline (not to be underestimated) and a new appreciation for the subtle flavors in even the simplest fare. But after three days of fasting, my mind, as well as my body, settled into an indescribably relaxed and peaceful state — a peace that “passeth all understanding.” Suddenly I could sit in meditation, almost indefinitely, without being pulled this way and that by flurries of impulses and thoughts. My fasts gradually became longer, until one summer, intent on going for two weeks with nothing but spring water, I was overcome with severe leg cramps on the twelfth day — to the point where I could barely stand. I learned later that my cramps were from a lack of salt and other minerals, brought on by walking the surrounding hills in the hot sun — despite drinking plenty of water. I decided, henceforth, to be more moderate with fasting. I hadn’t noticed any additional benefit after three days and eventually the body will start consuming itself. Vital organs can fail. Longer fasts, of more than a week, can be dangerous. I eventually settled down to just two fasts a month, on the days of the new moon and the full moon, for a full day and two nights each time. After several months on that regimen, I was intrigued to discover that not only did I know when the moon was new or full without consulting a calendar, but my appetite disappeared on those days, and fasting was effortless and natural. After returning to the workaday world it has become increasingly difficult to fast every fortnight. But even when I can’t fast, I still observe the new and full moons by examining my habitual patterns and resolving for the next two weeks to eliminate, or at least cut back, whatever habit I deem might be negatively effecting my health and well-being. Usually my fasting is from things like alcohol, sugar or marijuana, but I also frequently “fast” from other habits that have become excessive, such as the internet and TV. I’ve even thought of fasting from talking for two weeks, if it ever became feasible, just to see what effect it has on my inner life, and perhaps to tamp down my tendency to jabber excessively. I think it was Gurdjieff who said that “impressions” are food. This is an interesting view. We can picture ourselves as a very large, one-celled organism, with our senses and mind making up a circle of awareness — like a huge mouth which consumes all of the impressions that enter it, chews and digests them, stores them if necessary, and eliminates them when they are unhealthy or used up. In this scenario, internally generated impressions, such as thoughts and feelings, are essentially the same as external sense impressions, they are also food. Negative impressions that we consume (or generate), such as violence or hate, have a negative effect on our system, like a psychic belly ache, while positive impressions, such as beauty and peace, are nutritious and conducive to long term health. With that in mind we might be more careful about the impressions we seek out. I think it is possible to become addicted to the stimulation that negative and violent impressions generate. We don’t have to run away from difficult situations, but we can learn ways to digest them without bad effects and “fast” from them occasionally by retreating to places where impressions are healthy, such as into beautiful natural surroundings. To meditate is to fast from impressions, particularly thoughts. The circle of awareness is allowed to return to its natural state, which is clear and open. The incessant stream of accumulated impressions are digested and eliminated — simply by letting them disappear into that original clarity. Eventually they empty out and there is recovery and renewal. When I’m meditating, if I’ve been over-stimulated by meeting lots of people or from surfing the news on the internet, those impressions, the dialogues and storylines, tend to come back up on me, like acid reflux of the mind. It can take some time to digest and eliminate them. So if I stop posting on this site sometimes, it might not be due to writer’s block, but simply because I’ve decided to fast from the internet for awhile.